New York Times-bestselling author C. J. 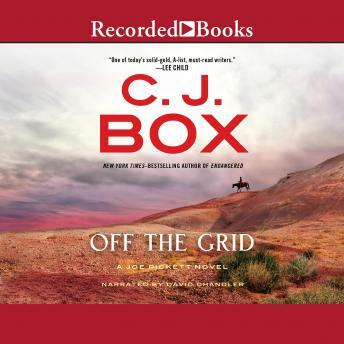 Box returns with a suspenseful new Joe Pickett novel. Nate Romanowski is off the grid, recuperating from wounds and trying to deal with past crimes, when he is suddenly surrounded by a small team of elite professional special operators. They're not there to threaten him, but to make a deal. They need help destroying a domestic terror cell in Wyoming's Red Desert, and in return they'll make Nate's criminal record disappear. But they are not what they seem, as Nate's friend Joe Pickett discovers. They have a much different plan in mind, and it just may be something that takes them all down-including Nate and Joe.